Hello there crafty friends! I hope you have had a good week and are now ready for the weekend – especially if you’re in the UK as it’s an extra day off for us on Monday being a Bank Holiday and all, yay!!! Today I’m sharing this little fella – Basil the bunny! I stamped this image on a scrappy piece of watercolour card a couple of weeks ago while I was having a play around with my then new Spectrum Aqua Markers. I coloured him up and was pleasantly surprised how he turned out! So I put him to one side with the intention of making him into a card sometime. Well, now it’s ‘sometime’! 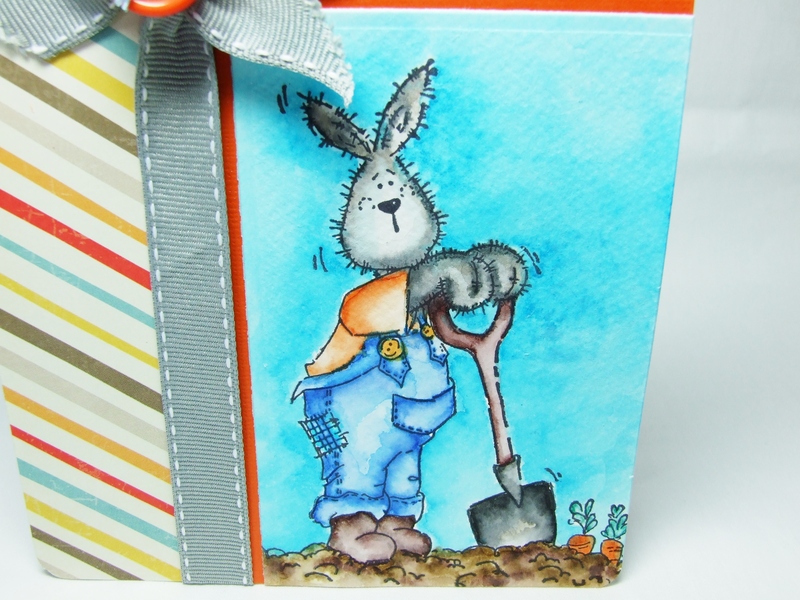 I didn’t want to add too much else to the card because I think he’s cute enough on his own (and his carrots!). 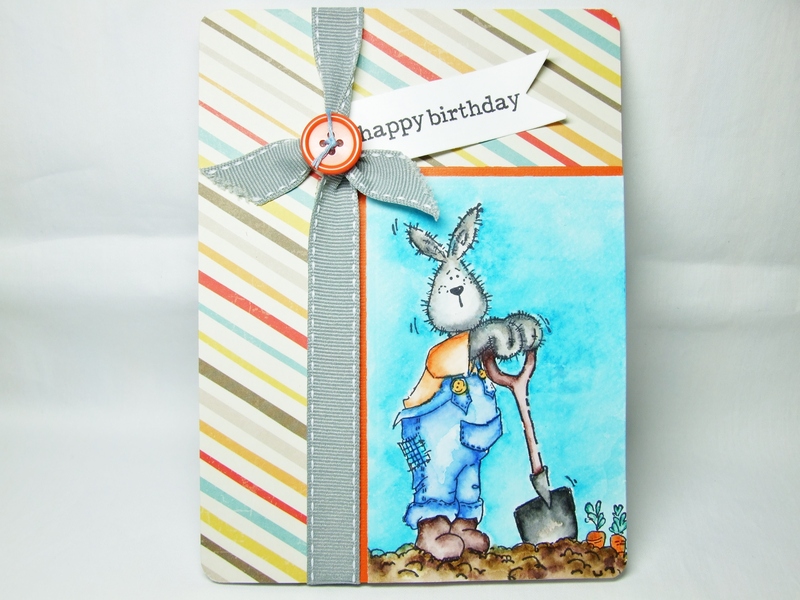 I used: ‘Happy Harvest – Basil’ stamp by Helz Cuppleditch, greeting stamp by Clearly Besotted, ‘Boy Crazy’ paper collection by MME, Spectrum Aqua Markers, Watercolour card, Orange Core-dinations card, Kaisercraft rectangle die and Spellbinders banner die. < Previous ‘Focus on you’…..
Next > “…..had a very shiny nose!”…..
Adorable card! Love the cute bunny! Oh my gosh, this is soooo CUTE!!!! Love that adorable bunny!! !